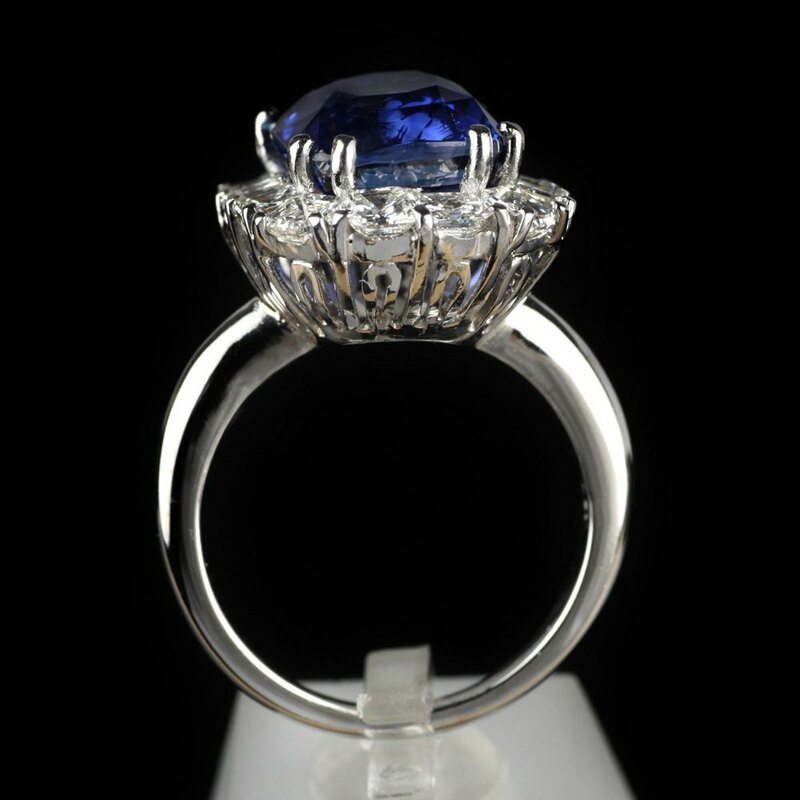 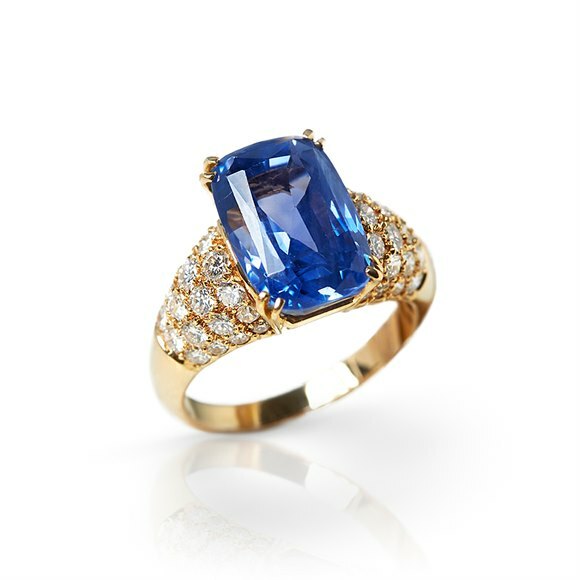 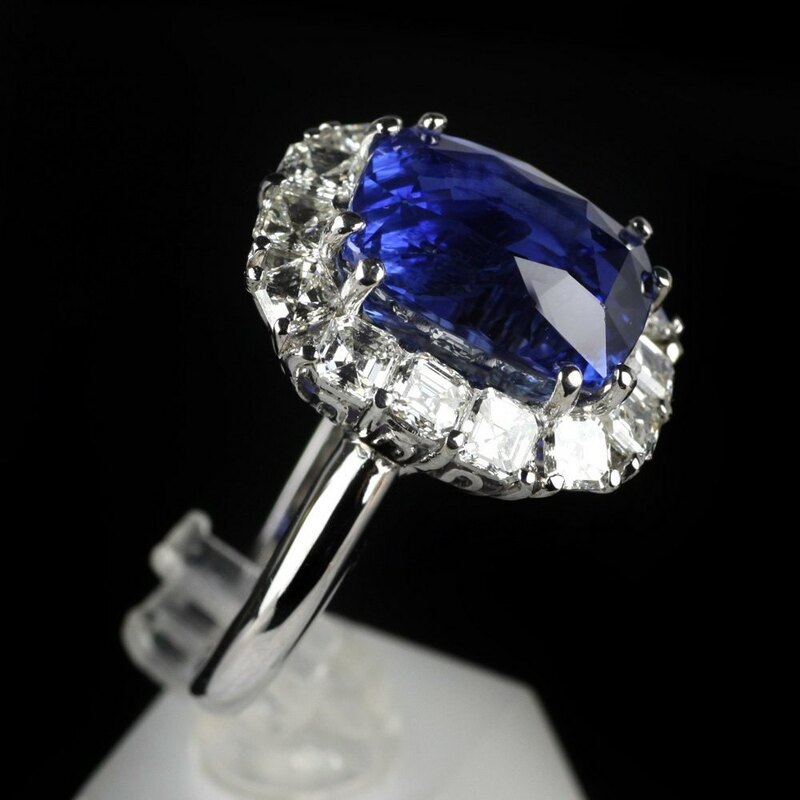 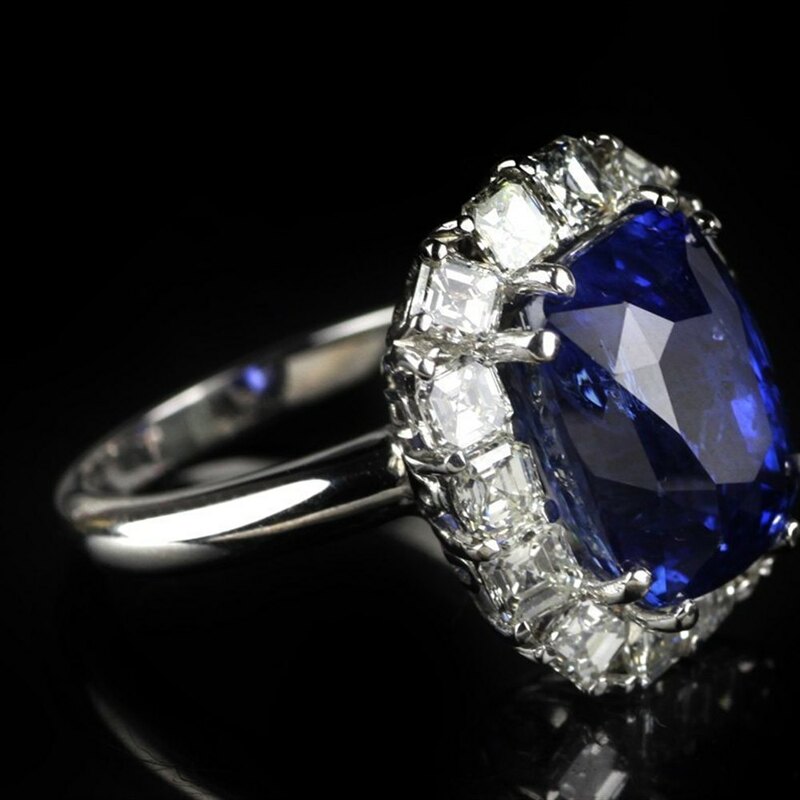 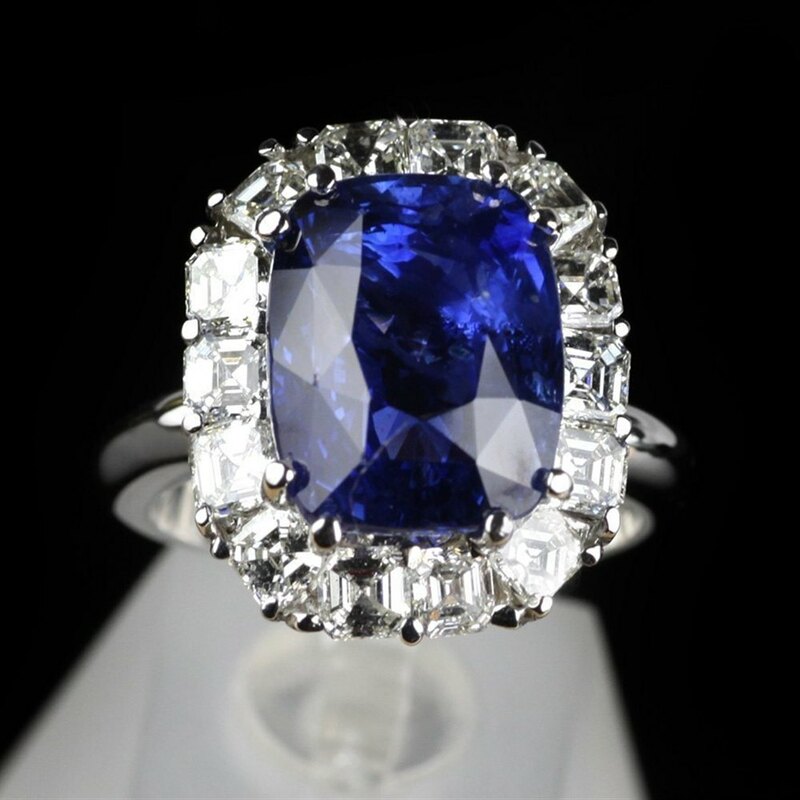 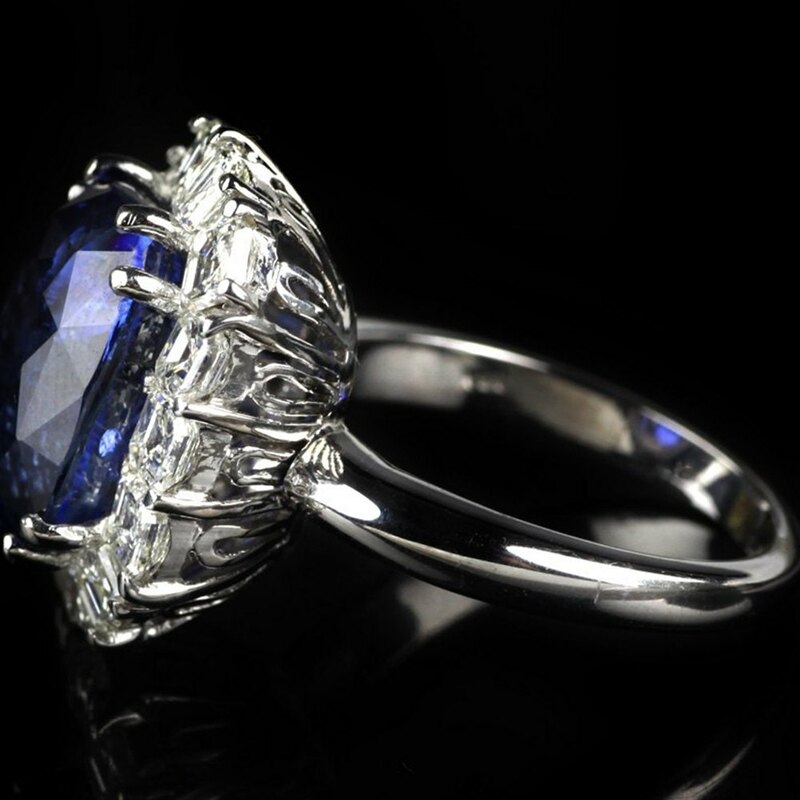 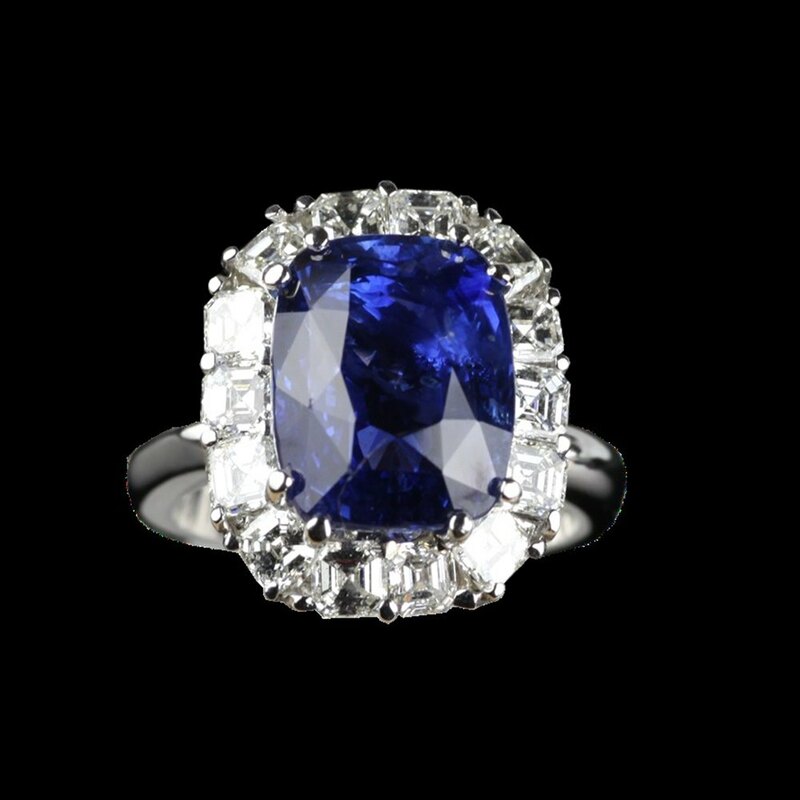 This extremely stunning Sapphire and Diamond Platinum Ring is in excellent condition. 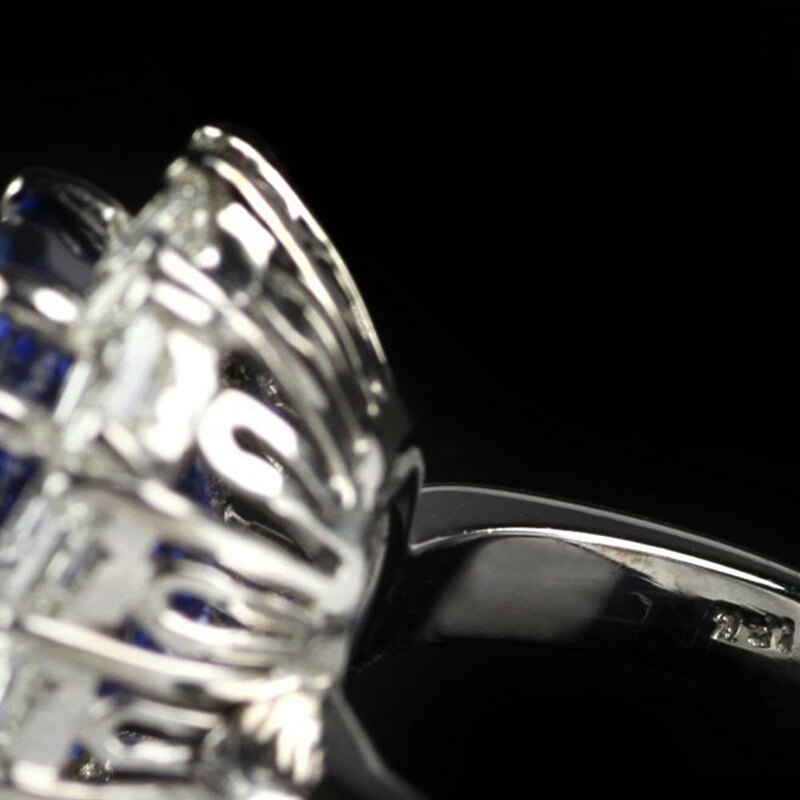 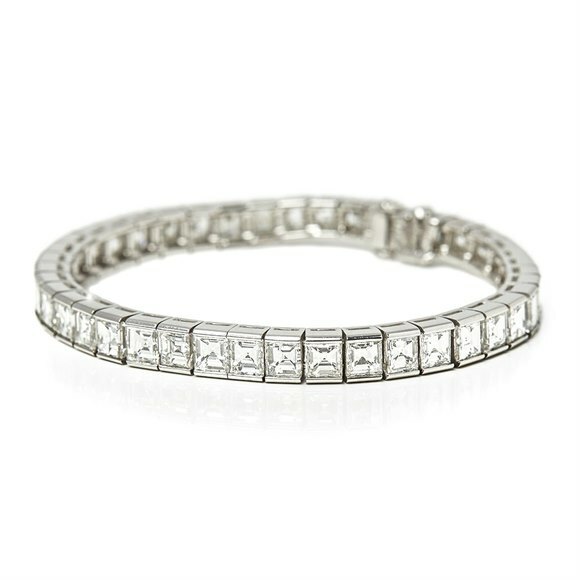 The Platinum band and mount encases a large 12.54ct Blue Brilliant Cut Sapphire, with approx 4.00cts of Asscher Cut Diamonds surrounding it. 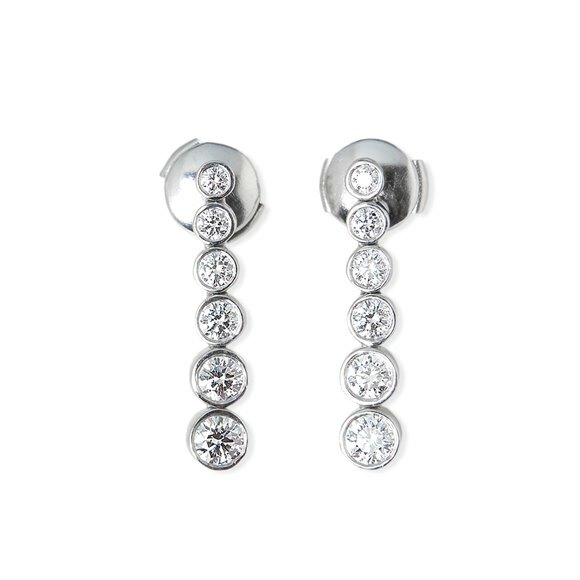 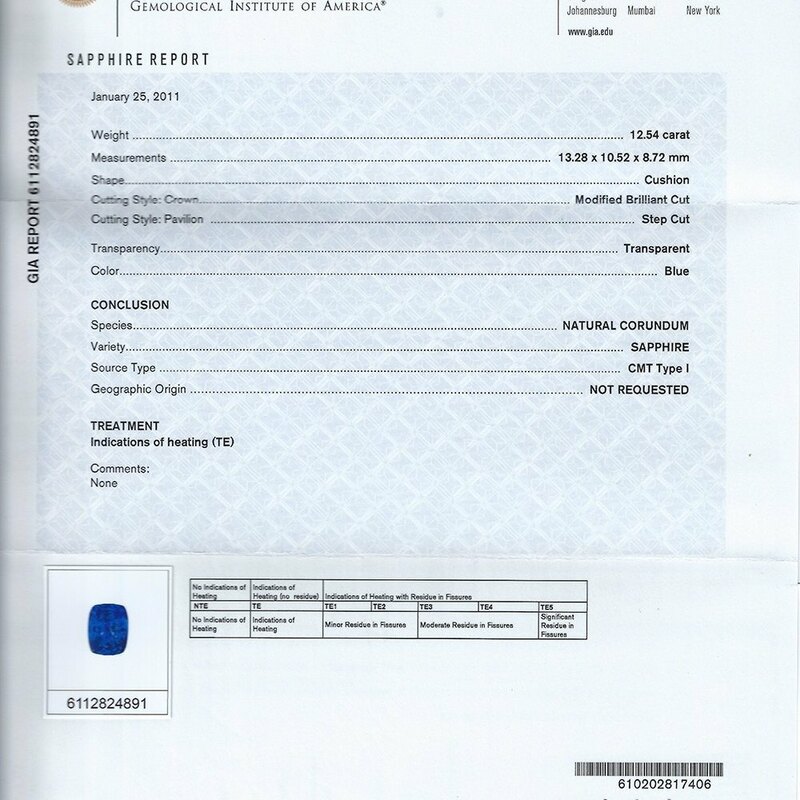 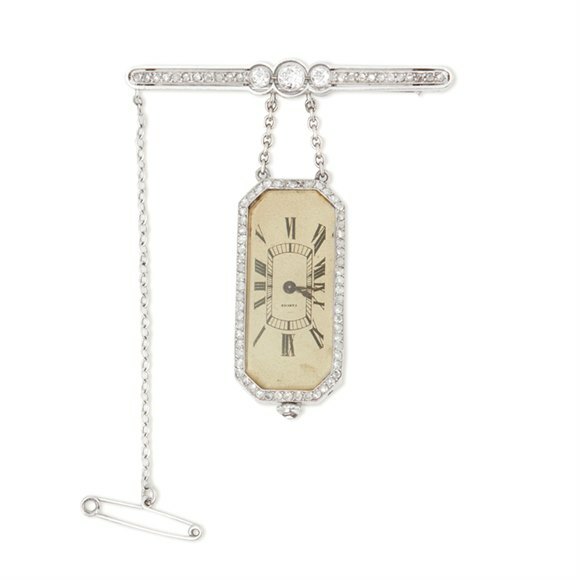 Includes G.I.A certification for the Sapphire. 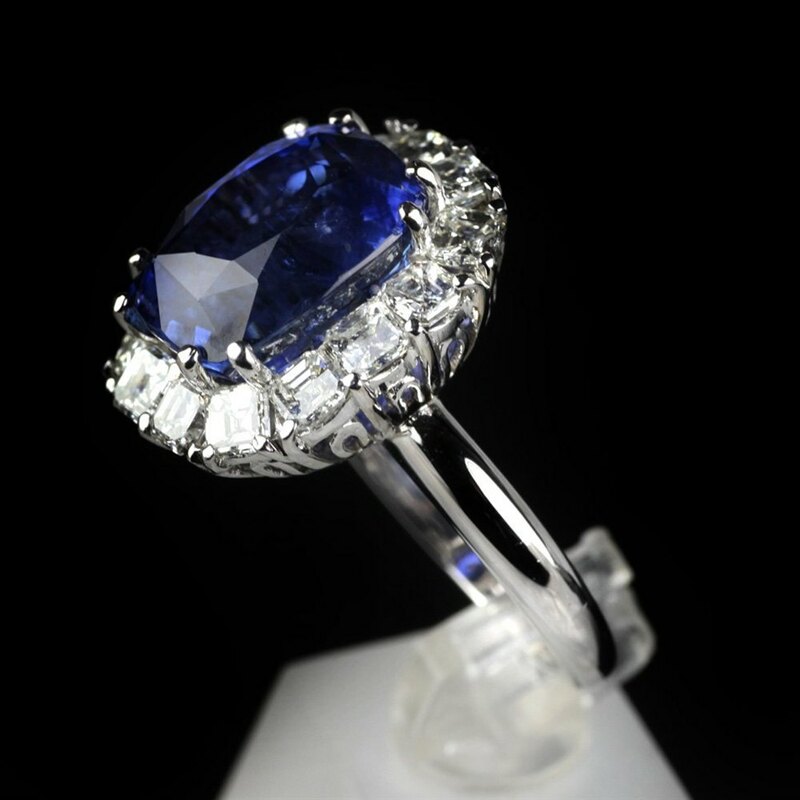 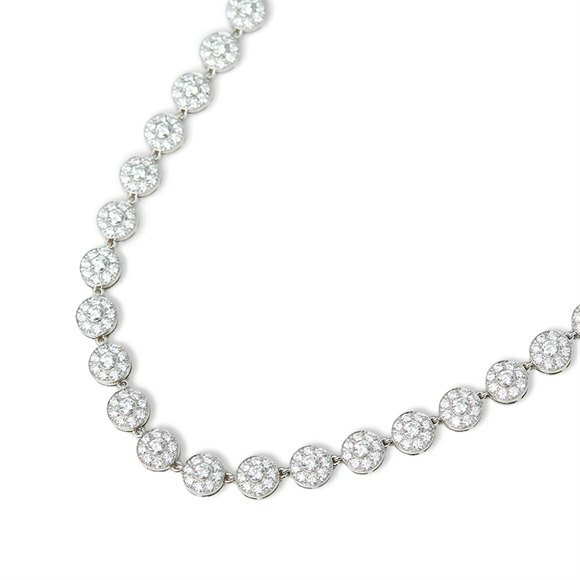 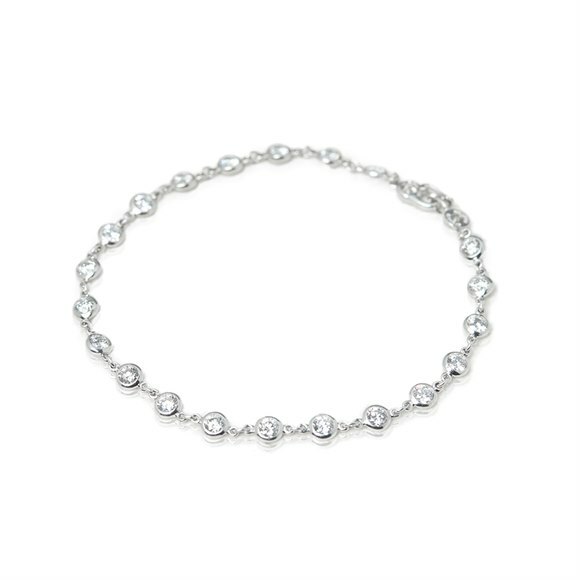 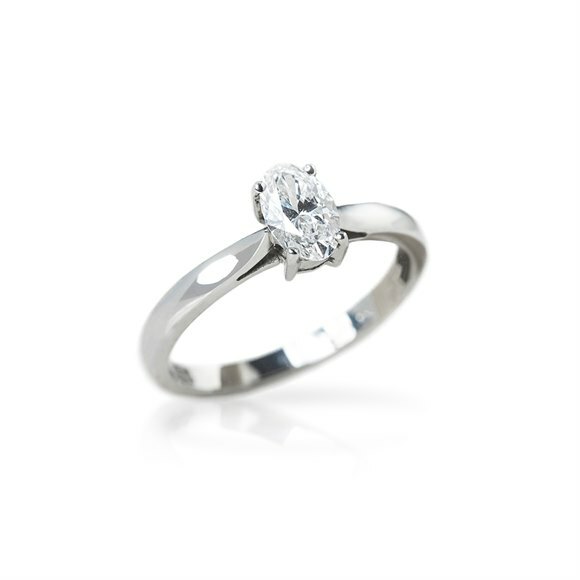 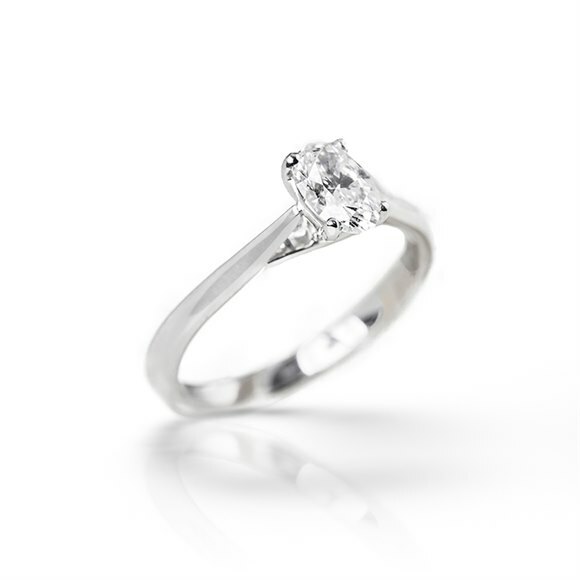 This ring is a unique show stopper, and could rival that of Kate Middleton's engagement ring. 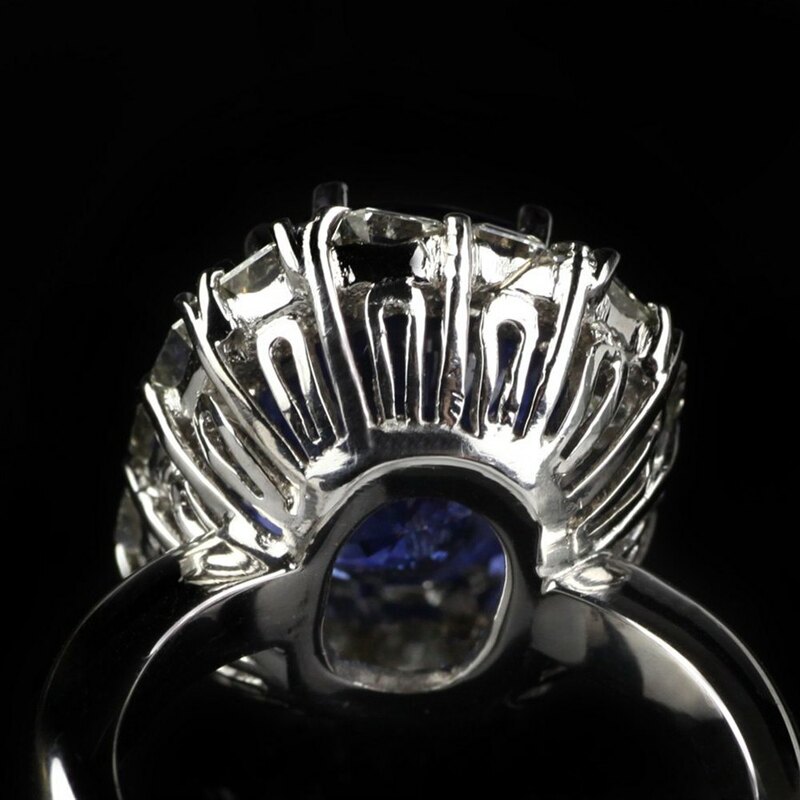 Xupes Ref CL01.